A few weeks ago, on a sunny, warm Sunday afternoon, Pappy and I took a little drive up to Douglas Dam. This picture was taken from the overlook. 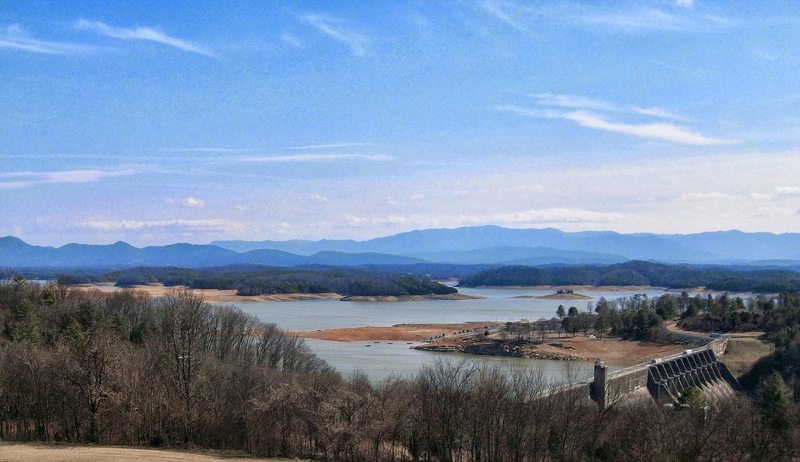 I love how it shows the dam and Douglas Lake and also the majestic Great Smoky Mountains in the background. If you look really close, you can also see the American flag flying at the top of the dam. What a privilege to live in such a beautiful part of the country!!! the world and those who live in it, resound. I love your photo. never seen mountains with my eyes but when I look to your photo I think its so beautiful!